4,976 motorcyclists lost their lives in accidents in 2016. These fatalities comprised 13% of all traffic deaths that year. 27% of motorcycle drivers who died as the result of an accident in 2016 were unlicensed. The state of North Carolina has many laws on the books that relate to motorcycles. In general, these laws are enforced to keep motorcyclists safe. They also serve to keep passengers and other drivers on the road out of harm’s way. These laws pertain to licensure, the use of roadways, and inspections. Here is a brief rundown of the laws every motorcycle operator must know. A motorcycle, as defined by law, is a vehicle designed to travel on three or fewer wheels. Motor scooters and motorized bicycles are included in this definition. Mopeds are defined under their own category in some states but are considered to be the same type of vehicle in North Carolina. According to the letter of the law, if you are driving a motorized vehicle that has either two or three wheels, you are operating a motorcycle. Additionally, your motorcycle must have a license plate securely attached in a horizontal fashion. There are two different avenues you may choose from to obtain a motorcycle license in the state, and which you choose will depend on whether you are licensed out of state or will be obtaining a motorcycle license for the first time. If you move to North Carolina and want to maintain your valid motorcycle license, you will need to do so within 60 days of establishing residency. You will go to the DMV and provide proof of your name, date of birth, residency, citizenship and Social Security number. You will take a vision test, pass both written and road exams if your license is no longer valid, and pay an endorsement fee. Once you obtain your North Carolina motorcycle endorsement, you will surrender your out-of-state license. In order to receive your North Carolina motorcycle endorsement, you have to be at least 16 years old and have a standard state-issued driver’s license, provisional license or commercial driver’s license. You will have to pass a written test and an on-road test and pay an endorsement fee. More information can be found on the DMV’s site. Every motorcycle on the road must be equipped with a working brake light. The brake may be operated by hand or foot. Under normal conditions, your bike’s horn must be audible from no less than 200 feet away. Your bike must also be equipped with a rearview mirror that allows you to see at least 2,000 feet behind you. Your motorcycle must also have at least one headlamp that is lit at all times, no matter if it is day or night. Your license plate must also be well lit. North Carolina is among several states in the country that require that a driver wears a helmet. Your passengers must also have protection on their heads. Your helmet must be “compliant” with the Federal Motor Vehicle Safety Standard (FMVSS) 218. Bodily injury or death to a single person in a single accident in the amount of $30,000. 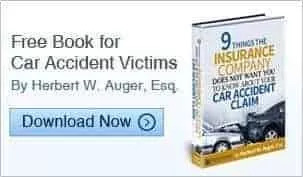 Bodily injury or death to more than one person in a single accident in the amount of $60,000. Property damage in a single accident in the amount of $25,000. It is up to you whether you carry collision or comprehensive coverage, but both are a good idea. Other optional coverages include medical payments and towing and labor. Failing to purchase or maintain insurance coverage is considered against the law. If you do not carry insurance or let it lapse, you will be fined and your license could be suspended. In North Carolina, insurance companies are required to alert the DMV when someone purchases insurance and when that insurance is allowed to lapse. While you are certainly not bound by law to purchase any specific motorcycle, the DMV has recommendations when it comes to buying your first bike. People who are new to riding may want to choose bikes that are of lighter weight and have a lower seat height. They may also want to purchase a bike that is at the more cost-effective range and is non-specialized. Consider that your first bike will likely be your starter bike. Choosing something you can learn on in order to gain experience will prepare you for a larger, more expensive bike later. Motorcyclists are also ruled by the same laws as those operating four-wheeled vehicles. You are bound to the same laws regarding speeding, stop lights and the like. If you have any questions as to the laws pertaining to motorcycles in our state, you can click here for more information. If you have been involved in a motorcycle accident in North Carolina, we want to assist you. Reach out to our team of personal injury attorneys today for a free case evaluation. We are here to help you and your family. Call now.